United Nations said its Millennium Development Goals (MDG) have lifted a billion people out of poverty since they were established 15 years ago. According to experts at U.N. Habitat, the international Human Settlement Program, the MDG has turned out to be the most successful anti-poverty movement in history. More than a billion people have been brought out of extreme need. India has halved its incidence of extreme poverty, from 49.4 per cent in 1994 to 24.7 per cent in 2011, ahead of the 2015 deadline set by the U.N,, shows the Millennium Development Goals (MDG) Report, 2015, released on Tuesday. The report set the limit for extreme poverty as those living on $1.25 or less a day. The reduction in poverty is still less than that achieved by several of India’s poorer neighbours. Pakistan, Nepal and Bangladesh have each outstripped India in poverty reduction. While the report says India is on track to achieving the hunger targets, the nation remains home to one-quarter of the world’s undernourished population, over a third of the world’s underweight children, and nearly a third of the world’s food-insecure people. 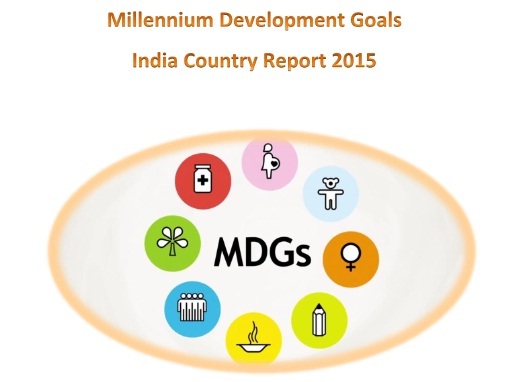 The report is especially important because it marks the deadline by which the MDG should have been achieved. India has achieved 11 out of 22 parameters in the report — spanning education, poverty, health, education and so on — and is on track to achieve one more by 2015-end. Bibek Debroy, member of NITI Aayog, released the report.